Teachers routinely go above and beyond expectations. They arrive at school early, stay late and often pay for supplies from their own pocket book, among many other things. But few would let their students shave their heads. 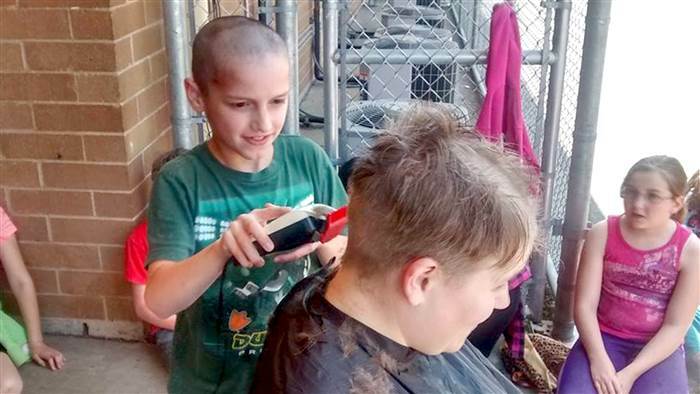 On Monday, Tori Nelson struck a deal with one of her fourth-grade students in Winlock, Washington: He could shear off her short, blonde locks but only if he would take off his hat, which the school prohibited, and finally come to class. This entry was posted on May 21, 2015 at 9:17 pm and is filed under Uncategorized. You can follow any responses to this entry through the RSS 2.0 feed. You can leave a response, or trackback from your own site.